Home News What is LAFC Weekly? LAFC Weekly is committed to becoming your go-to source for all things LAFC. We share everything that makes LAFC the most unique club in MLS history. The club’s inception was accompanied by the birth of a beautiful, diverse, and talented community of supporters. LAFC Weekly wants to help foster and grow this already thriving culture. A website by the fans, for the fans. We aim to deliver great content for the LAFC community to engage with. 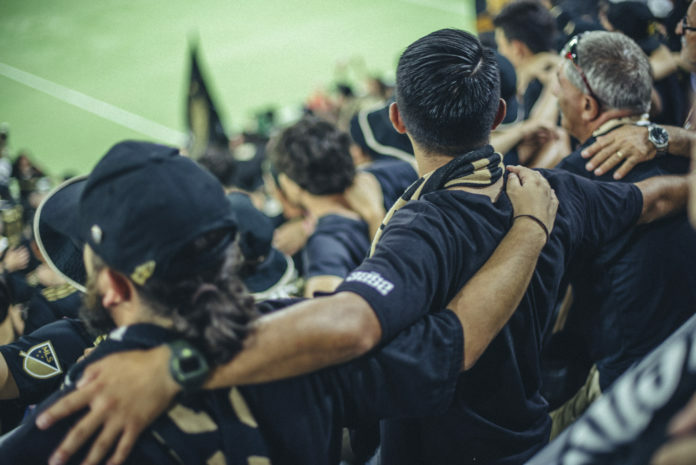 As fans ourselves, we can cover the club in a way that official media outlets cannot, providing opinions on the latest club activity and sharing the best of the LAFC culture. We don’t want to bog you down with lengthy articles or regurgitated match reviews. Instead, we keep things simple by only sharing the best moments from the club’s history, our favorite fan art, and a few opinions along the way. Check out our Photos section to see some of the best shots taken by fans and match photographers. Head over to our News section to keep updated on the latest club activity. Or, visit the Highlights section to see match highlights and relive some of the club’s all-time greatest moments. This is just the start, there’s a lot more to come.